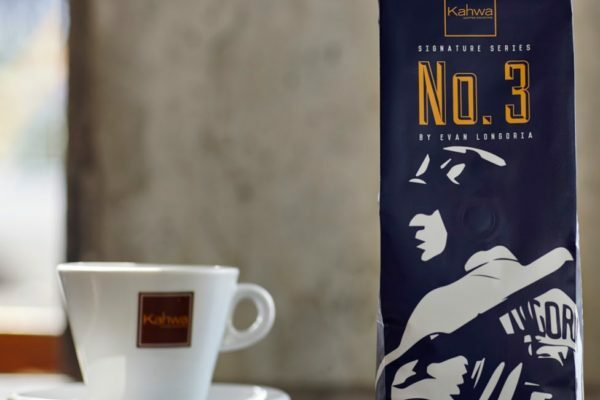 Kahwa Coffee has partnered with Evan Longoria for the Signature Series No. 3 coffee, a nod to the professional baseball player’s number since his rookie season in 2008. Proceeds from the new blend, hand-selected by the three-time All-Star, will benefit charities and causes, starting with Hurricane Irma relief efforts in Florida. Sourced from three high-quality beans and roasted by Kahwa Coffee in St. Petersburg, Florida, bags of No. 3 will be available at all 12 Tampa Bay Kahwa locations, KahwaCoffee.com and at Tropicana Field, the home of the Tampa Bay Rays in St. Petersburg, Florida. The project got off the ground with a tweet to @KahwaCoffee from Evan himself seeking the opportunity to meet the team behind the brand and explore possible collaborations. Kahwa looked to develop a versatile blend that would work well as an espresso, Evan’s preferred coffee drink, as well as drip or press. Evan Longoria plays third base for the Tampa Bay Rays. A three-time All-Star, he won a Silver Slugger Award in 2009 and a Gold Glove Award in 2009 and 2010. He has twice been nominated, in 2014 and 2017, as the Rays recipient of the Roberto Clemente Award, given to a player who best exemplifies the game of baseball, sportsmanship and community involvement. Longoria’s involvement in the Tampa Bay community is well documented. Through this project, Kahwa Coffee and Evan Longoria look to raise as much as USD $10,000 for the first phase of their collaboration. Kahwa opened its first shop in downtown St. Petersburg, in 2008. Both Sarah and Raphael introduced the coffee from behind the counter as the company’s first baristas. Roasted and packaged in Tampa Bay, Kahwa focuses on blends rather than single-origin coffees. One hundred percent Arabica beans are hand-selected and blended before roasting. Kahwa now operates 12 coffee shops in the Tampa Bay area and its wholesale distribution includes 650 local and national restaurants, and five-star hotels across Florida, California, Washington DC, and Pennsylvania. Kahwa Coffee is also available in all Newslink kiosks in all terminals in Tampa International Airport and at the Tampa Convention Center. Kahwa is the exclusive coffee vendor of the Nassau Airport with three shops, as well as the official coffee of Parrot Cay, a private island resort in Turks and Caicos from the COMO Hotels and Resorts Group.